The elegance of Tuscanys grand cities is found on a more intimate scale in its numerous small towns and villages, the most charming of which are celebrated in this revised, compact edition of the bestselling book. Thirty-six villages from all over Tuscany feature here, from those clustered around the great cities of Lucca and Florence, which produce some of the finest olive oil and are home to some of the world's greatest works of art, to the Chianti region and the valley of the Orcia, devoted to the cultivation of aromatic herbs. The vivid, highly descriptive accounts of each village are accompanied by page after page of marvellous colour photographs. "Beautifully composed photographs graceful, knowledgeable text". ("Country Living"). 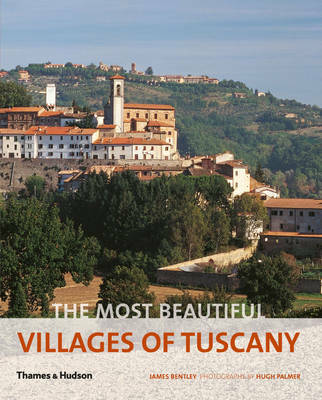 "Breathtaking photographs the riches and variety of Tuscany are laid out for all to see a well balanced, well presented and well written exploration of one of Italys most beautiful regions". ("Contemporary Review").